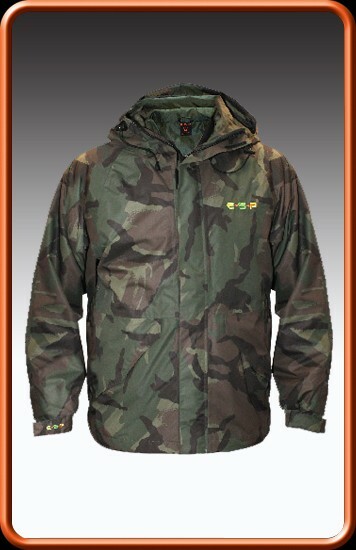 Brand new from ESP the Stash Camo Jacket features a high draught resistant collar, full length zip and handwarmer pockets. 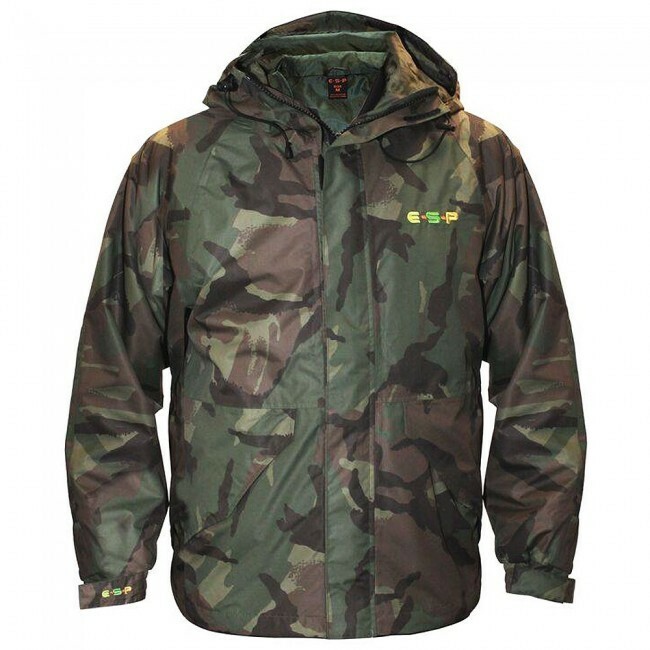 ESP Stash Camo Jacket is an excellent breathable, wind and waterproof jacket which is light enough to compress and 'stash' until required. The jacket has a comfortable cut with various key features including a nylon lining, adjustable peaked hood with high draught-resistant collar, full-length YKK zip with rain baffle, roomy hand warmer pockets, internal zipped security pockets, adjustable neoprene lined cuffs and a scooped rear hem. Available in Small, Medium, Large, XL, 2XL, and 3XL sizes.